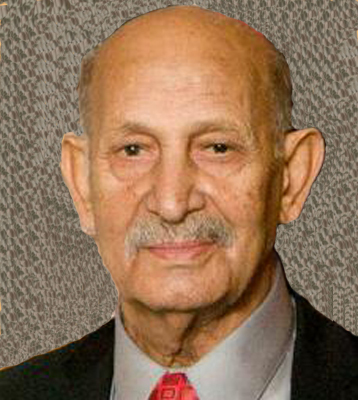 SULEIMAN AWADALLAH BERLIN CENTER – Suleiman Awadallah, 76, passed away Jan. 27, 2012, in his home in Berlin Center. He was known to many by his beloved nickname, “Two-gun Sam.” He was born Feb. 25, 1935, in Madaba, Jordan to Mohamed and Nijma Awadallah. He spent his early years on his parents’ farm and then ran a grocery business before relocating to Ohio. He made Youngstown his home in 1967 and fell in love with the city and its people. He was a self-made entrepreneur who ran several businesses throughout Ohio for over 40 years and worked until the age of 75. His interests included reading, Arabic films and theater, reciting poetry, and singing. He also enjoyed spending time with his family and constructing his home and many of his businesses from the ground up. Suleiman will be remembered by all for his strength, work ethic and kindness. His sense of humor and charisma left his family with many memories and stories that will comfort them in his absence. Above all, he loved to share with those in need and his extraordinary generosity will not be forgotten by the many family members, friends and strangers that he helped during his lifetime. Please share your memories of Suleiman.